The highlight of the month for most Scouts is the camping event. These events are planned by the Scouts and typically include 2 nights of camping (Friday and Saturday). 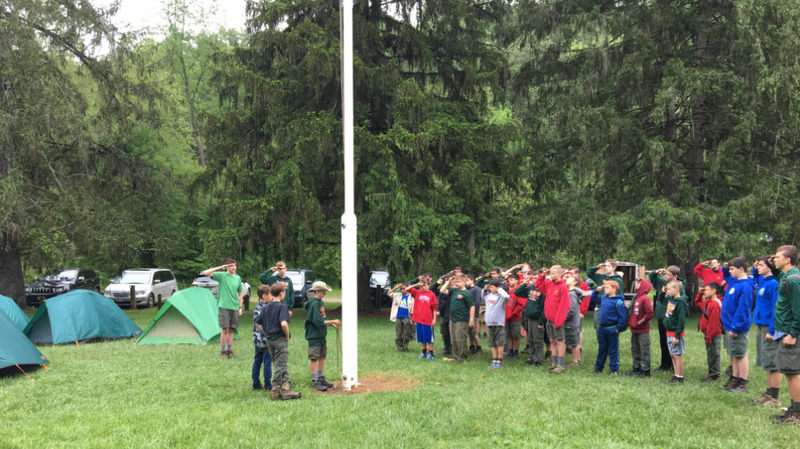 The camps will often have a specific focus, such Aquatics Camp where fishing and kayaking merit badges are offered, Advancement Camp, where the Troop helps newer Scouts learn outdoor skills, and Shooting Sports Camp, where the troop learns archery and rifle safety and skills. Regardless of the event, camping nights count towards the troop’s “Nights of Camping” recognition program.